The CEO of Premiere, Michael David Palance, hosted the Lip Sync Battle with Disney Channel Stars like Rowan Blanchard from Disney’s “Girl Meets World”, Calum Worthy from Disney’s “Austin & Ally”, Piper Curda from Disney’s cast of “I Didn’t Do It” and Trinitee Stokes with Disney’s “KC Undercover”. All of the stars put on quite a performance, at the end the crowd chose the winner. Check out Calum’s performance below. Peyton List Is Going to Asia This Summer: You’ll Never Guess Where?! Do you live in the Republic of Singapore? Are you a fan of Peyton List, the gifted film and TV actress? If so, you’re in luck: Peyton’s on her way to Singapore, and she’s going to take part as a celebrity judge on the panel observing performers auditioning for Premiere. Here’s a little background on Peyton. Born in Florida in 1998, she grew up in New York City among a gifted family. In fact, her twin brother Spencer and younger brother Phoenix also act professionally. You may have seen her in movies like “27 Dresses,” “The Sorcerer’s Apprentice,” and “Diary of a Wimpy Kid.” Peyton is most known for her work playing the shallow teenager Emma Ross on the Disney Channel series “Jessie.” You can also see Peyton in her new series on the Disney Channel, “Bunk’d”. These performances attest to Peyton’s acting skills. She’s convincing whether she’s playing a kind character, a bully, or a self-absorbed person. She’s equally accomplished as a model, having appeared on magazine covers and in hundreds of ads. Further, Peyton is a singer, and she’s working on her first album; she’s even writing some of its songs. Considering her many talents, who would be better suited to judging aspiring actors, singers, and models? Peyton will be the only celebrity judge on a panel with Premiere to help evaluate performers in Singapore. Premiere, which is based in Orlando, Fla., is holding an exciting audition in Singapore on August 29, 2015. Premiere is looking for performers between the ages of 5 and 18 who will then begin the opportunity to showcase their skills in front of industry professionals at Walt Disney World. Peyton isn’t a newcomer to Premiere. In December 2014, she attended one of our programs at Walt Disney World, during which she went on stage with her younger “Jessie” costar J.J. Totah and Disney Channel actor Jason Earles. The three improvised a “Dating Game” sketch, which was hosted by Premiere CEO Michael David Palance. You can view this hilarious skit on Premiere’s YouTube channel. We won’t give away its ending here; let’s just say that it concluded with an unexpected kiss between two of the entertainers. Call Now to Audition in Singapore or Complete the Form Below. Space is limited so Call Now! Summers during the preteen and teen years can be magical ― full of trips to the beach and lazy afternoons by the pool. But if you’re a celebrity like Disney Channel’s Rowan Blanchard, you can make this season extra exciting by going to glamorous events with other stars. Plus, in between your partying and tanning, you can try to change the world. To see what we mean, check out these five highlights from Rowan’s whirlwind summer. On June 27, Rowan addressed the Conference and Annual Meeting of the U.S. National Committee for UN Women, which took place at the Hyatt Regency in Long Beach, Calif. UN Women is a branch of the United Nations that strives to empower girls and women across the globe. Rowan’s speech focused on several issues, including the way some girls try to become more popular by avoiding science and math as much as they can. She also explained that the American media often treat women’s bodies like objects, and they sometimes suggest that a woman’s appearance is her most important attribute. These remarks were compelling and heartfelt, and Rowan was thrilled to take part in this conference. On June 23, Rowan dined at Gracias Madre in West Hollywood, a classy restaurant that serves organic foods from local farms. The trendy clothing company BCBGeneration hosted this party in order to show off its latest offerings. Many young luminaries showed up; Rowan’s “Girl Meets World” costar Sabrina Carpenter was among them. In this series, which is a sequel to the 1990s TV comedy “Boy Meets World,” Rowan plays Riley Matthews. Riley’s a cheerful Manhattan resident who spends a lot of quality time with her parents: Her dad is a history teacher at her middle school, and her mom runs the bakery that she and her friends often visit. Rowan had an especially emotional experience when she explored the Universal Studios Orlando Resort in July. This sprawling complex in Florida contains two theme parks, and they both recreate settings from the “Harry Potter” books and movies. Well, when Rowan stumbled upon Diagon Alley, the fictional street in London where wizards hang out and go shopping, she started to cry. She’s been a huge Potter fan for years. On July 17, Rowan attended the Premiere Program Award Show at the Walt Disney World Swan and Dolphin Resorts in Orlando, Fla. Calum Worthy and Piper Curda were there as well, and all three Disney Channel actors honored Premiere’s performers. During the proceedings, Rowan took part in a couple of onstage games, including an intense and hilarious lip sync battle. Afterwards, she tweeted that meeting Premiere’s participants warmed her heart. Premiere, which was founded in 2009, is a unique organization that brings young musicians, dancers, actors, and models to the attention of entertainment professionals, particularly people who produce TV shows for children and teenagers. This is a once in a lifetime opportunity and space is limited so call right NOW! 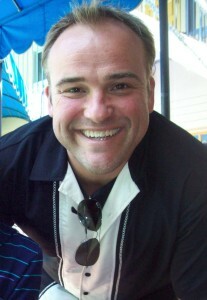 David DeLuise – David got his first leading role in 2003 in BachelorMan. He also had a role in 3rd Rock from the Sun as the character Bug Pallone, and was also in the show Jesse regularly for its first season. He played a recurring role in Stargate SG-1 as the character Pete Shanahan. He later went on to play the role of Jerry Russo, the father, and former wizard in the show Wizards of Waverly Place and Wizards of Waverly Place: The Movie. DeLuise also directed some of the shows episodes. He then directed some episodes of How to Rock, See Dad Run, Lab Rats, and The Thundermans. Anna Maria Perez De Tagle – Anna’s first role as an actor came when the show Bee Season came around, in which she starred as Bee Season #1. Her first big role was in the hit Disney Channel Original Movie: Camp Rock, then also later starring in the sequel Camp Rock 2: The Final Jam. In between the two Camp Rock movies, she was given the main role as Joy Moy in the movie Fame. After her movies, she starred in the TV show Cake, as Miracle Ross, the main role. She then had a recurring role in the Disney Channel show Hannah Montana for about the entire run of the show (2006-2011). She also had many one hit wonders in television. Only starring in one episode in all of the following: Just Jordan, Higglytown Heroes, Jonas L.A., and Baby Daddy. Fanny Pak – Fanny Pak is a contemporary dance crew from Los Angeles, who gained recognition after appearing in the second season of the MTV show America’s Best Dance Crew. The crew consists of eight members, Matt Cady, Beau Fournier, Natalie Gilmore, Tiffani Grant, Cara Horibe, Megan Lawson, Glenda Morales, and Preston Mui. Danielle Bisutti – Danielle made herself known in television over the years, appearing repeatedly in episodes of, “Last Man Standing”, “Parks & Recreation”, “CSI Miami”, “Without A Trace”, “Raising the Bar” and “The O.C.”, while also appearing on “NCIS,” “Criminal Minds,” “Castle,” “Hot in Cleveland,” “90210,” “Private Practice,” “Body of Proof,” “Bones,” “Cold Case,” “Two and a Half Men,” and “Boston Legal.” She is however known most for her role in the Nickelodeon show: True Jackson VP. 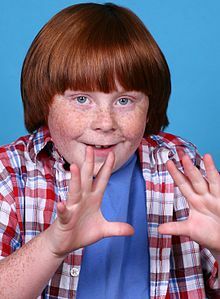 Nate Hartley – Nate is most know for his character Ozzie in the Disney XD show “Zeke and Luther.” He appeared in most of the episodes ranging from 2009-2012. 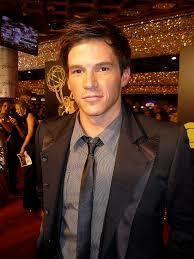 He has also appeared in the Nickelodeon show “iCarly” and in “Hannah Montana” of Disney Channel. Matthew Underwood – M atthew’s most know character is Logan Resse, in the show “Zoey 101.” Though he has played in movies such as, Irea The Movie, and Avatar: The Last Airbender. Eric Allen Kramer – Eric is known for his acting in the Disney Channel Sitcom, “Good Luck Charlie.” He played the character Bob Duncan. The patriarch of the home. Nolan Gould – Nolan is very well known for his role in the very popular show “Modern Family.” He began his career when he was young by acting in commercials. Caroline Sunshine – Caroline is known for the role of Tinka Hessenheffer in the Disney Channel show, “Shake It Up.” She was a secondary character through the first season, then she was bumped up to regular characters for the rest of the show’s air time. Tucker Albrizzi – Tucker started his career when he was young. Starring in many commercials. 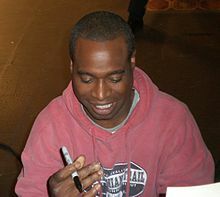 Then he struck the role of Jake, in the show “Good Luck Charlie,” as Gabe’s best friend. 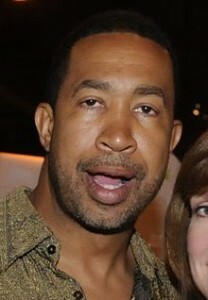 He then appeared on the show often, throughout it’s airtime.